Using a paddle to operate in morse code is very convenient. But paddles don’t create dots and dashes on their own, so you need some electronics, called a “keyer”. You may use the build-in keyer of your radio, but most of them lack of functionality. You may buy a keyer at your local ham store, but these are rather expensive. So why not build your own keyer? It’s fun to do, and you learn new things. The Arduino prototyping board allows you to build the most advanced and personalized keyer that you have in mind! This article gives you a decent start for such a keyer, by implementing the basic functionality and learn a bit about the Arduino platform if you’re not familiar with this board yet. 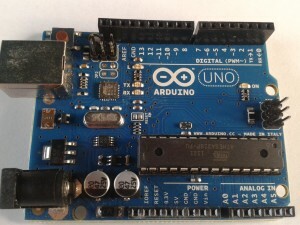 The Arduino prototype board, this is the “Uno” version. Throughout the years several versions have been released, but all are code and pin compatible. 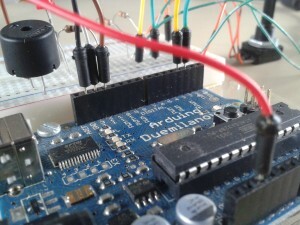 The Arduino is one of the easiest prototyping platforms available nowadays. You can easily attach buttons, sensors, lights, displays, relays and motors and control them all with a simple program. You write the program using the Arduino IDE software (available for Linux, Windows and Mac) and transfer it to your Arduino board using a USB-cable. Arduino boards are sold at most electronics shops and will cost about 20-25 euros / 25-30 USD. You may consider buying a starter kit, containing an Arduino board, a breadboard, and handful of parts (LED’s, switches, sensors, motor, servo, etc), wires, and a guide learning you the basics. Visit the Arduino website for more information. 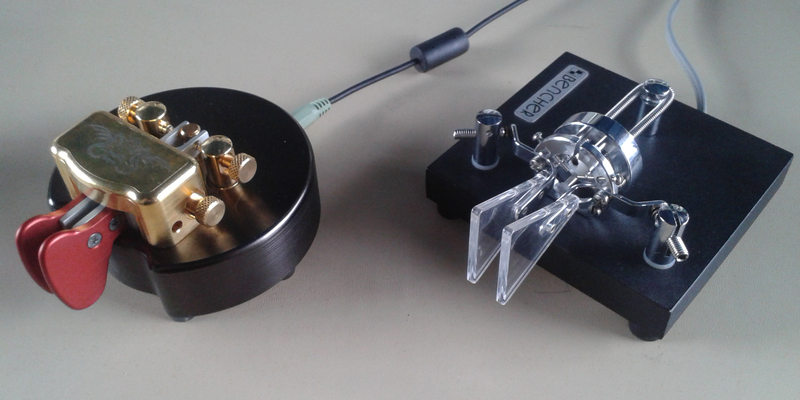 Two examples of a paddle: the high-end Begali “Pearl” and the more common Bencher “BY-1”. Actually, if you look at your paddle, it’s just a double switch. Ok, it’s probably the most expensive and specialized switch in your home, but still it’s a switch. Each contact is shortened to a common contact, normally connected to “ground”. The other ends of the switches are connected to the “dot” and “dash” inputs of your keyer. It’s time to build the circuit. 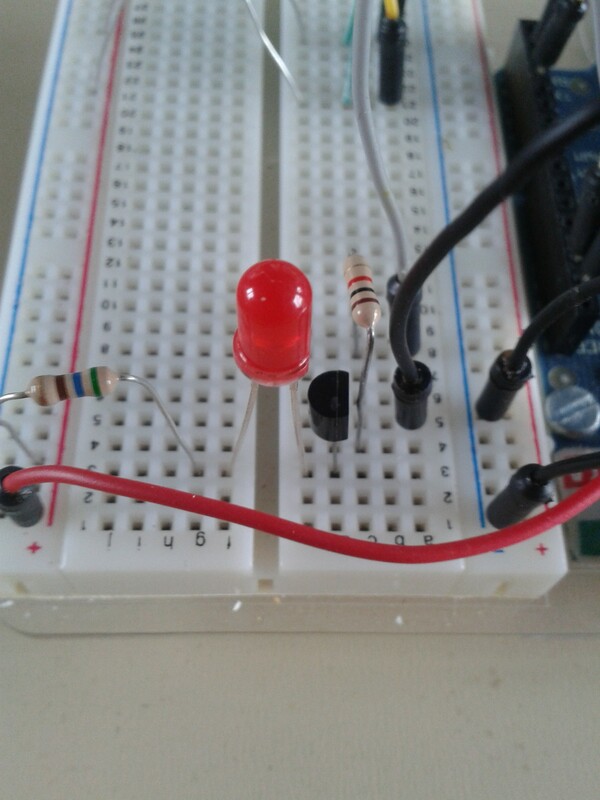 I suggest that you first build your prototype on a breadboard, at least I did for this article. The complete circuit, less then 10 components! 2 Digital inputs for the paddle (dot and dash contact). 1 Digital output to the key jack of your transmitter. 1 Digital output to sound a sidetone buzzer. 1 Analog input to read the speed from a potmeter. Down here I’ll discuss these. The paddle contacts have to be translated to a digital “1” or “0”. Most paddles pull connect the contacts to ground, so when a lever is pressed it is a digital “0”. 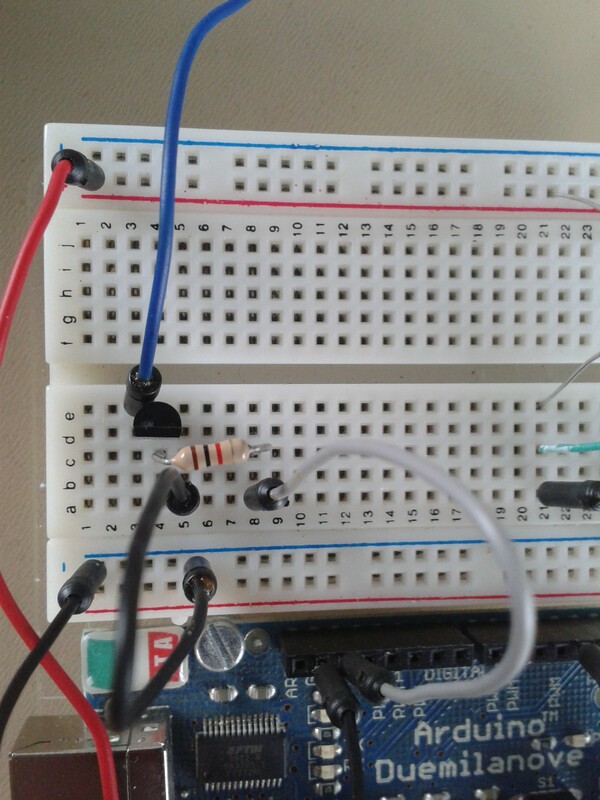 So when not pressed, a “1” should appear at the Arduino’s input, so we add a 10k pull-up resistor to each contact, connecting it to +5V (operating voltage of the Arduino). 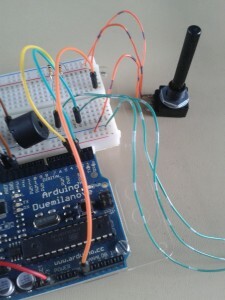 The contacts can now be connected to the Arduino, using the digital I/O pins labelled “D2” and “D3”. The arduino also provides pins labelled “GND” (for the ground connection of the keyer) and “5V” (for the pull-up resistors). The software processes the inputs from the keyer and produces the dots and dashes. Therefore it keys pin “D13”. When high (+5V), the key is pressed. We attach a transistor (almost any common NPN type transistor will do) to this pin. When ping D13 is high, the transistor pulls the key input of the connected transmitter to ground, as if a straight key was connected. During key down, the software will generate a square wave on pin “D12”, allowing you to attach a small buzzer. You could also shape the signal a bit using an RC circuit and feed a LM386 based audio amplifier, allowing you to attach a small speaker or headphones, but I’ll leave that to you. For now, the buzzer will be fine. You definitely want to be able to set the keying speed, so therefore we will attach a potmeter. 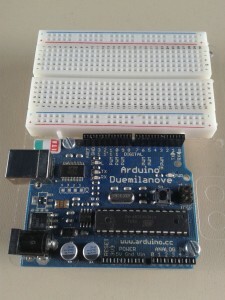 The center pin will be connected to analog input “A0” of the Arduino, while the other 2 pins are connected to GND and 5V. 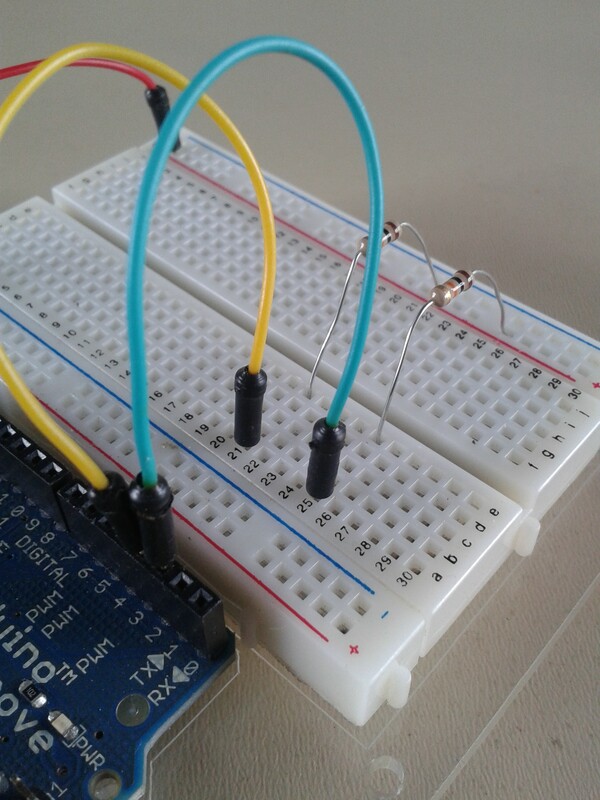 Start with the Arduino board and a breadboard. Connect the power rails of the breadboard with the 5V and GND pins of the Arduino. 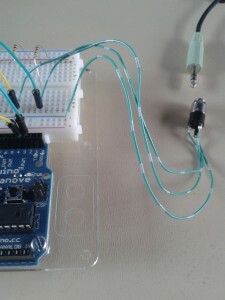 Place the pull-up resistors for the paddle, and connect them with pin D2 and D3 of the Arduino. Connect the paddle; I used a female jack connector and some wire. 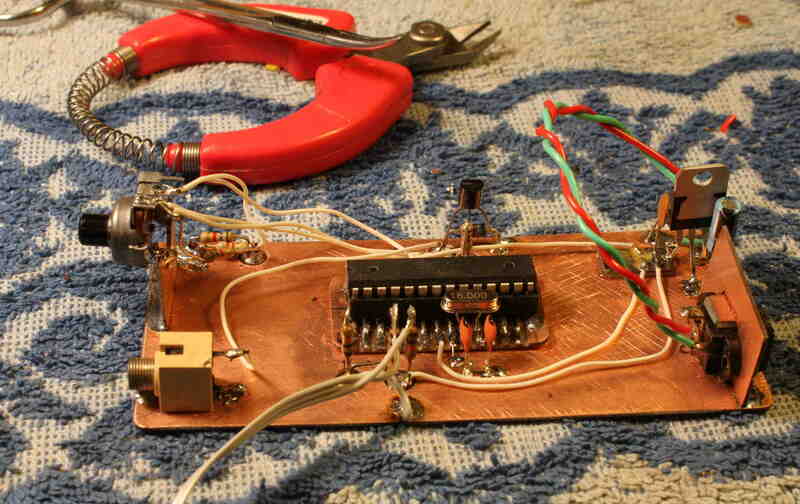 Build the output circuit using a 1K resistor and a BC547 transistor. The blue wire goes to the key input of the radio. For testing purposes I removed the blue wire and replaced it with an LED, that will light up when the Arduino keys its output. Place the buzzer between the GND and pin D12. 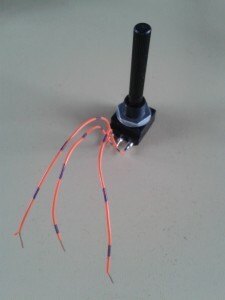 Prepare a potmeter by soldering wires to its pins. 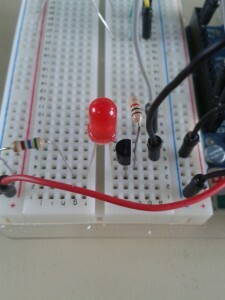 Connect the potmeter to GND and 5V, and the center pin to A0. The hardware is finished now, so let’s go on to the software part. 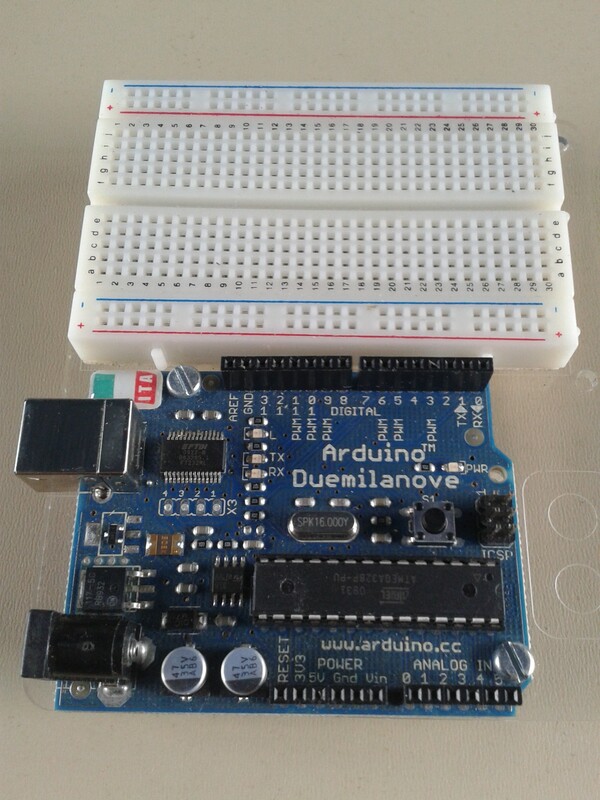 Once installed the Arduino IDE software, you can simply start it and begin typing your code. You can download the keyer code from my GitHub repository to save you some time. If you have never programmed an Arduino before, you might first take a look at some examples, starting with this one: File → Examples → Basics → Blink. 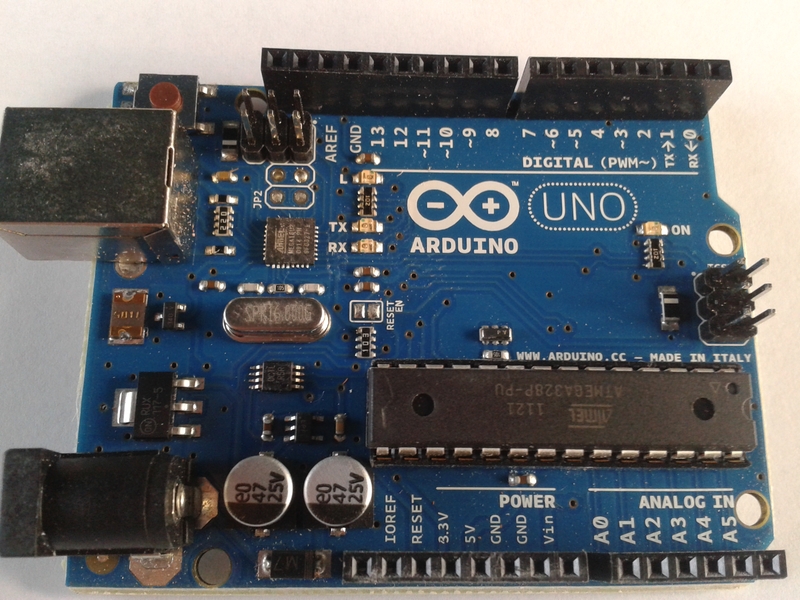 In the text down here I have added links to the online Arduino Language Reference. The main routine, called “loop”. // to set the keying speed. Notice that we used the contants we just declared, not the pin numbers itself. if(!digitalRead(P_DOT))        // If the dot lever is presssed.. The final part of the code does the actual keying and sounding. We call this function “keyAndBeep”. It starts with keying the output, setting the P_CW pin to “HIGH” (5V). This will drive the transistor to key the transmitter. Then a for loop runs for a while, all statements within this loop are repeated lots of times, depending on the value of the “speed” variable (so the setting of the potmeter). Each iteration the audio output is set to HIGH, then we wait 1 millisecond, and then set the output to LOW again and wait another millisecond. This results in a square wave of about 500 Hz (roughly). When the loop is ended, the key output is set to “LOW” again and the connected transmitter will stop. Connect the Arduino board to your PC using a standard USB A-B cable. Then upload the code using the Arduino IDE software. Now connect the Arduino to your PC and upload the code. Once uploaded the keyer will come to live immediately, since it’s powered by USB now. You can simply remove the USB cable now and power the Arduino by attaching a 9V battery or a 9-15 volts DC adapter. Add one ore more buttons (use pull-up resistors, like done with the paddle buttons) to transmit standard texts, like your callsign or a CQ message. Add an LCD display showing the current speed. It’s easier than you think! For an example just go to the menu of the Arduino IDE software and click: File → Examples → LiquidCrystal → HelloWorld. 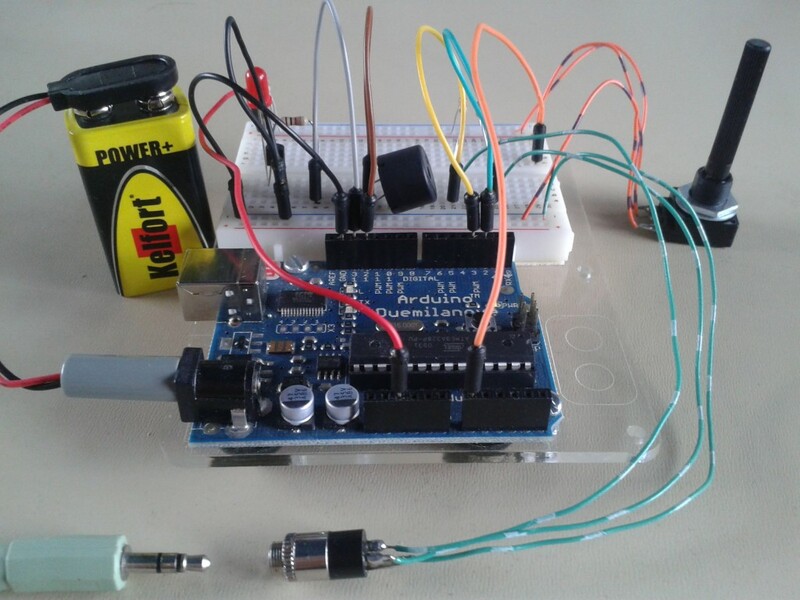 Create a memory keyer, the Arduino has an internal EEPROM where you can store your messages. 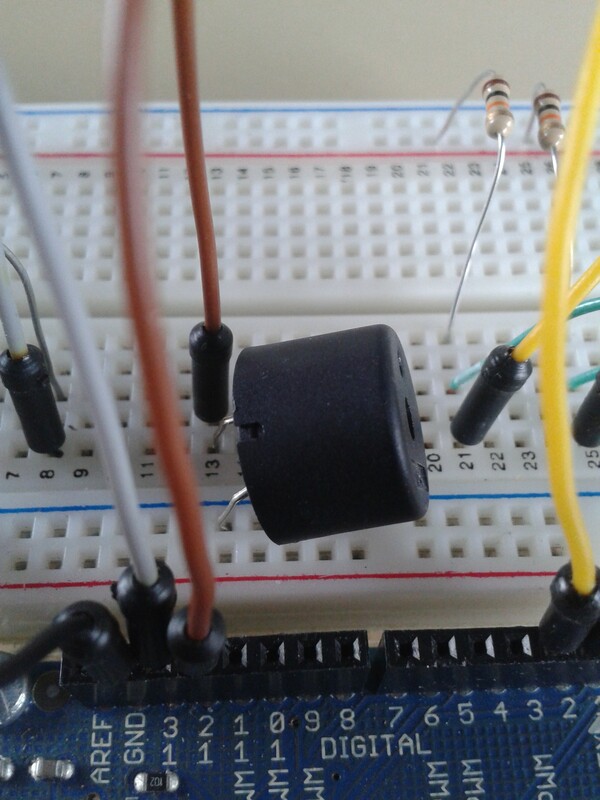 Replace the buzzer by a lowpass filter (to shape the square wave) and a LM386 based audio amplifier, so you can use a small speaker (sounds nicer) and/or headphones. Place a small capacitor (10nF) between each input/output and ground to prevent RF interference. 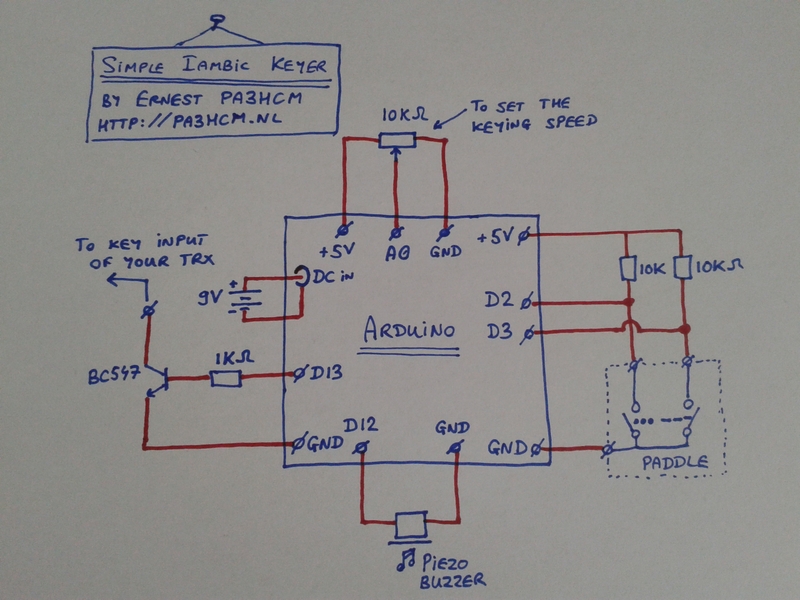 Take a look at other Arduino-based keyers on the web and get inspired. 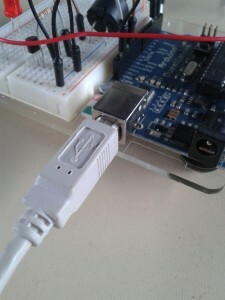 Add an Ethernet Shield to the Arduino and enable keying over your local network. Add a Bluetooth Shield to the Arduino, and create an app to control the keyer using your mobile phone. 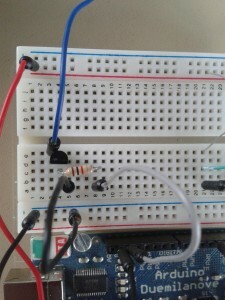 Build a very small keyer using the Arduino Mini, Micro or Nano. Build your final version in a fancy enclosure! As always… for any questions or comments regarding this article just place a comment down here, or use the contact form on this website to send me a private email. Completed prototype of the Arduino morse code keyer. Bill W7WEL built the keyer on copper clad, therefore he removed the microcontroller chip from the Arduino board, placed it in a socket, and added a clock circuit and power to get the chip running. Chris ZS1CDG built a slightly different version, which is a touch paddle. He replaced both 10k resistors with 2M ones and uses his fingers as “switches”. He showed the result in this nice video. Tommy NE5TH built it using a breadboard shield. Maks UT3UEZ used it in a morse trainer/simulator, using an Arduino Mini. He uses a second Arduino Mini to decode the signal again and show the result on a display. Yuri EW6BN put his version into a small plastic mints box. Based on this article, Daniel VE7LCG built this very small keyer, including a tiny paddle! 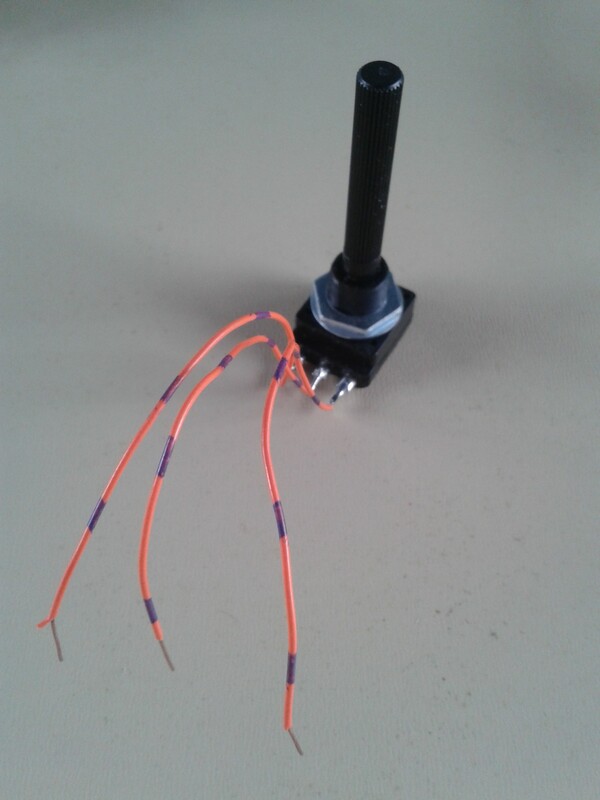 Hij schreef dat jij hem geholpen had met de Arduino software voor zijn DDS protect. Ik zag dat je een keyer gemaakt had met een Arduino. Zoek even op nanokeyer, en je ziet vazelf de links naar de keyersoftware. I know there are more Arduino based keyers available, and yes, K3NG did a really nice job. However, my article is not meant to build your own fancy / sophisticated / feature-rich keyer, but to be part of learning to write your own code for Arduino. Therefore its functionality is very limited, but most people should understand the code. Still, it might add some links to such projects for inspiration. Thanks for your comment, always appreciated! Thanks for the good job, I was looking for such a thing. Thanks so much for this “how to”. Very simple and easy to follow. The values one gets from analogRead are rather unusable as is even after scaling down by 2. To get a linear speed adjustment from 10 to 35 WPM, you can use e.g. to calculate the proper delay. I’ve posted the modified version on my GitHub account. Yes Antti, the speed adjustment is far from perfect, however I tried to keep the code as simple as possible, to allow starters to understand the code. Thanks for your input! This now gives a reasonably linear speed adjustment. I am an enthusiast Arduino and CW. I have little knowledge to program but I like to experiment. You tell me where you put the line in the code created by Ernest? kunnen helpen hoe kom ik aan zo een keyer? en wat eventueel de prijs er van? You may consider buying this nanoKeyer kit, which includes a PCB and all parts, except an Arduino Nano and a case. Thanks a lot, good job! Please provide the exact parts list. Made mods to code as suggested above, added a a switch and a couple of lines of code to give iambic or semi auto. Simple sideswiper/cootie key gives same effect as vibroplex but without the $$$$ price. Couldn’t afford the $$$$ price wanted for a vibroplex. Added a semi auto option and now able to use homebrew cootie to mimic. How to memorize dot after dash in your simple iambic keyer? If you want to implement that, things get a bit more complex. You will probably have to use interrupts to handle this, most Arduino boards do support this on pins 2 and 3. See https://www.arduino.cc/reference/en/language/functions/external-interrupts/attachinterrupt/ for more information on how to use interrupts. For this simple morse keyer I don’t have any code available for this yet. Thanks for such a nice keyer, needed something for my HW9 was able to put a volume and switch control in a very small box. Makes a nice package. Thanks again worked right off. Hi, you say you use the blue wire to key the radio. But the radio keyer input needs a complete circuit. So you must be connecting more than just the blue wire? Do you connect the key-input ground to the arduino ground also? Yes, it’s the blue wire and ground for most radios. Some really old radios don’t key to ground, in that case check your manual. Tks a lot your easy arduino keyer project. I’m not an expert on arduinos, só I’m trying to update the project to have a simple 1602 LCD. Try severals parts os LCD programs (like Hello World) but nothing works. Can you update your project with LCD? 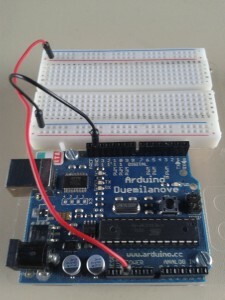 In the Arduino software, go to the menu: File –> Examples –> LiquidCrystal. You will find a bunch of examples on how to control your LCD. If your LCD has 16 pins, it’s probably an HD44780 type, the HelloWorld example works for sure. If your LCD has only 4 pins or has a backpack, it’s probably an I2C type, in that case you could use the LiquidCrystal_PCF8574 library. You can install this library via the menu: Sketch –> Include Library –> Manage Libraries. Search for ‘LiquidCrystal_PCF8574’ and hit the ‘Install’ button. Now go back to your Examples, scroll all the way down and you’ll find a new menu ‘LiquidCrystal_PCF8574’, including an example called ‘LiquidCrystal_PCF8574_Test’. Good luck!